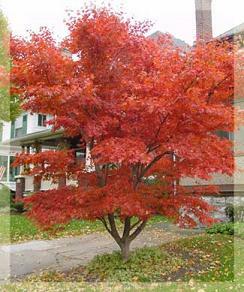 Several times over the last few years, people have come to talk to us about their Japanese Maples. For a variety of reasons (new construction, the tree’s gotten too large, they want to re-landscape) people were going to have to remove one or more of these trees and rather than just cut them down, they came to us to see if we wanted to rescue them. Sometime builders have contacted us. We love this and we invite any builder confronted with the possibility of having to cut down a beautiful mature Japanese Maple to contact us first to see what might be done to save the tree. Lockhart|Suver did and two beautiful old trees were saved and will now live for many more years in their new homes. Bravo! Sometimes, we are willing to do rescues – and sometimes we are not. It depends on the tree itself, the physical access to the tree, the season and how busy we currently are here at the nursery. It is an absolute shame to cut down some of these old and very beautiful specimens. 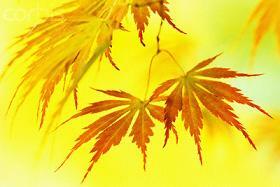 Japanese Maples just get more beautiful with age and they are slow growers so it can take many many years for some of them to attain their full glory. So, as they say, we feel your pain and, if we can, we will help save them. But, having said that, you should understand some things from our POV. It takes a lot of time and effort to dig an old and established tree out and transport it. And this should only be done in the winter when the tree is dormant and, even then, there are no guarantees and the tree may not survive the move. So, the point here is that if you are thinking that we’ll be happy to come and pay you a thousand dollars to remove and transport your old and beautiful tree away, it’s probably not going to happen. You should check with other landscapers and nurseries to verify what I’m saying here. There’s a lot of time, effort and risk involved in trying to rescue one of these big beauties and it is unlikely that people are going to come and pay you a lot of money for the privilege. We don’t mean to be rude here but I do want to establish reasonable expectations when people come to us wanting to see their trees rescued rather than destroyed. If you want to see your tree live on, then give us a call. We make no promises or guarantees – but it may be possible. As I said, it will depend on a lot of factors. If everything lines up just right, maybe we can save that tree you’ve loved for so many years from the chainsaw.